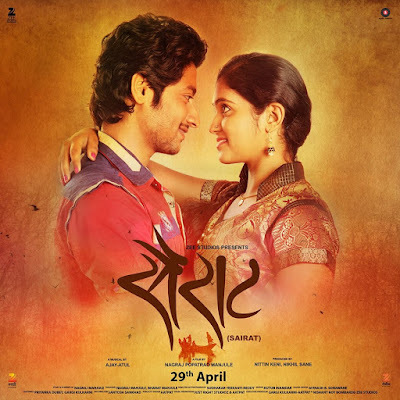 "Sairat (सैराट)" is an upcoming film written and directed by "National Award" wining director "Nagraj Manjule" and produced by "Zee Studio" and "Aatpat Production". Music for the film is given by 'National Awardees' composer duo and siblings Ajay-Atul (Gogavale). which has become tremendous hit topping all charts. 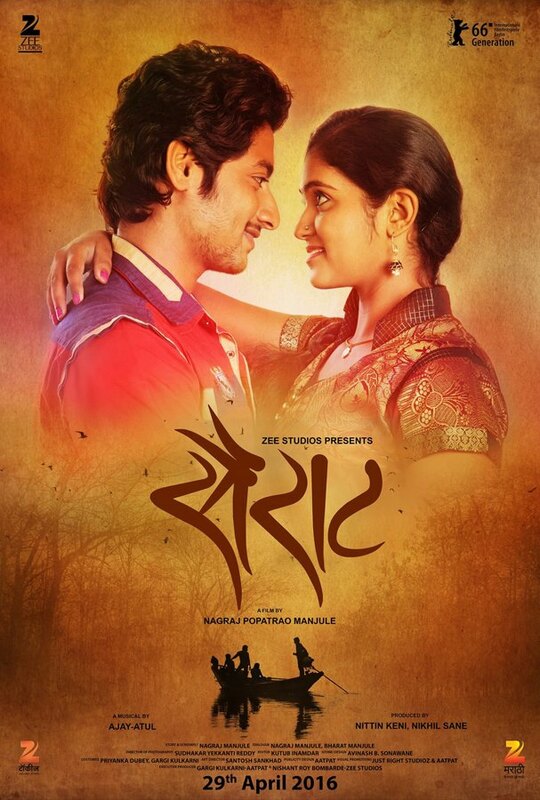 Sairat is a love story set in a rural backdrop. It's a love story of teenagers 'Parsha' played by actor "Akash Thosar" who is a bright student and a college cricket team captain belongs to lower cast and 'Archie' played by actress "Rinku Rajguru" who is beautiful and very confident girl is out of his reach. She belongs to a higher caste, her family is rich, and her father is a kingpin in local politics. But Aarchi is a headstrong girl who won’t let anyone dominate her and she likes the persistent, brave Parsha. How will their families react? What happens to love when two people have to sacrifice everything for it? Sairat is an epic love story that takes a critical look at Indian society in the 21st century.